Here’s a rundown of my Trimble Thunderbolt GPSDO project. 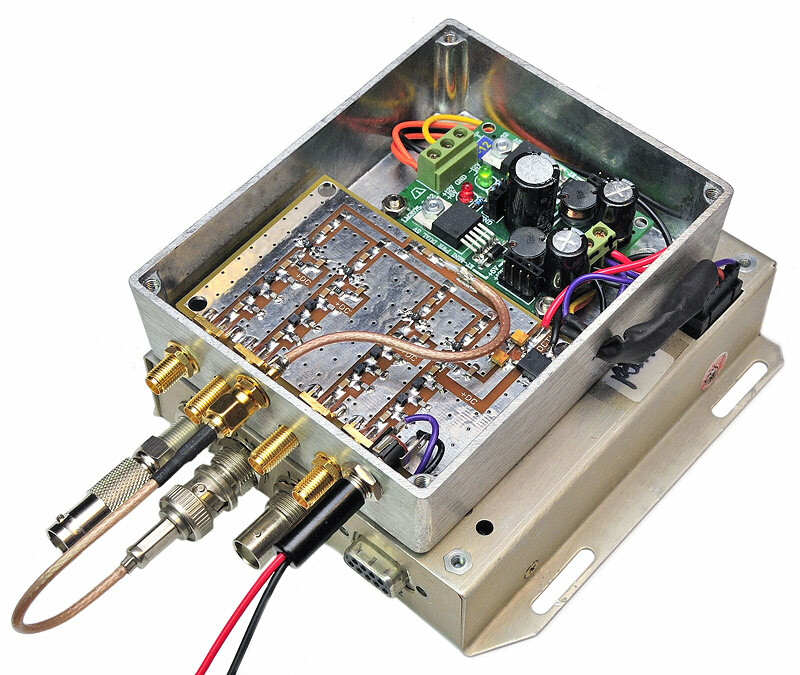 It provides an accurate 10MHz reference for the transverter Local Oscillator PLLs. 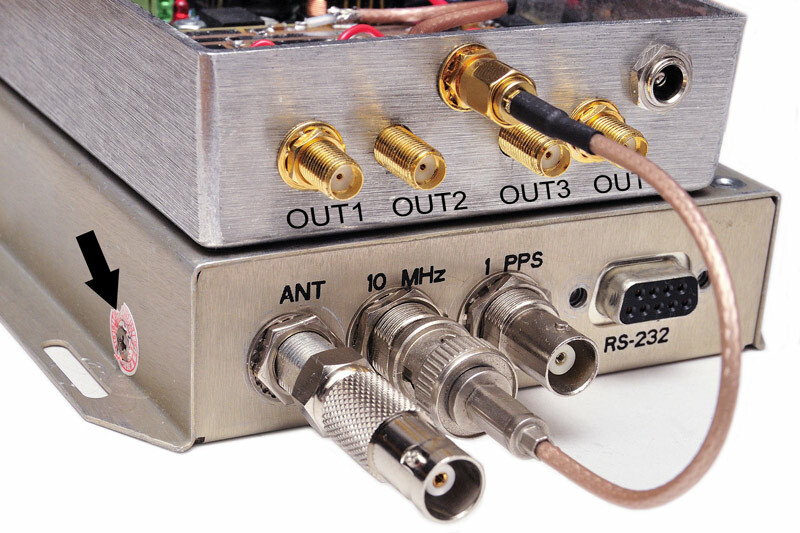 The existing Thunderbolt mounting holes will be utilized, and mounted in a vertical orientation, inside the 3RU 2.4/3.4GHz transverter enclosure. The Futurlec dual DC converter boards are an ideal way to generate a +5V rail and -12V rail on the same compact board. These are cheap, and you cannot make these for the cost of the individual parts, let alone worry about a PCB or veroboard. The trick is, remove the unwanted regulator chip, and refit the “other” regulator you do require. I go into more detail in the PDF, which you can download and read offline at your own convenience. 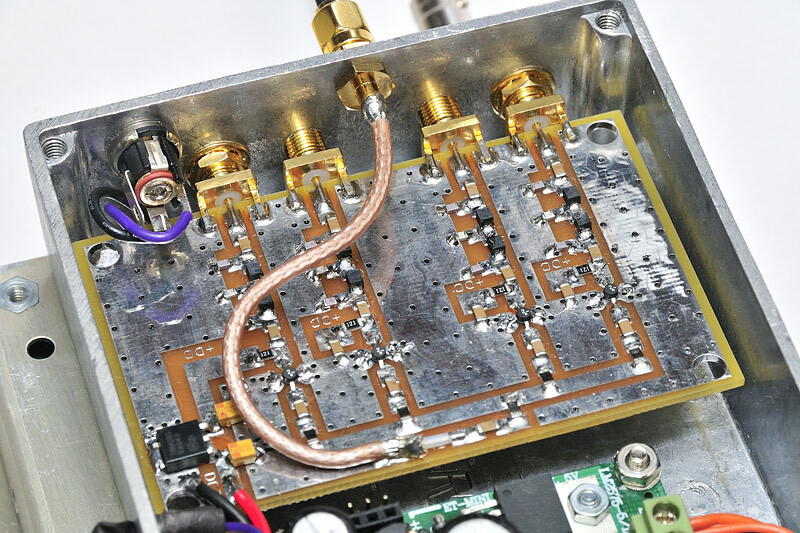 Here is an easy way to put up an external GPS antenna for your shack-mounted GPS Disciplined Oscillator, using commonly available parts. Using a TV antenna bargeboard mount, and a plumbing adapter, it takes about 15 minutes to install. The GPSDO in use here is a Trimble Thunderbolt, as described above. The ThunderBolt’s antenna socket has 5V appearing on it to power an active antenna. 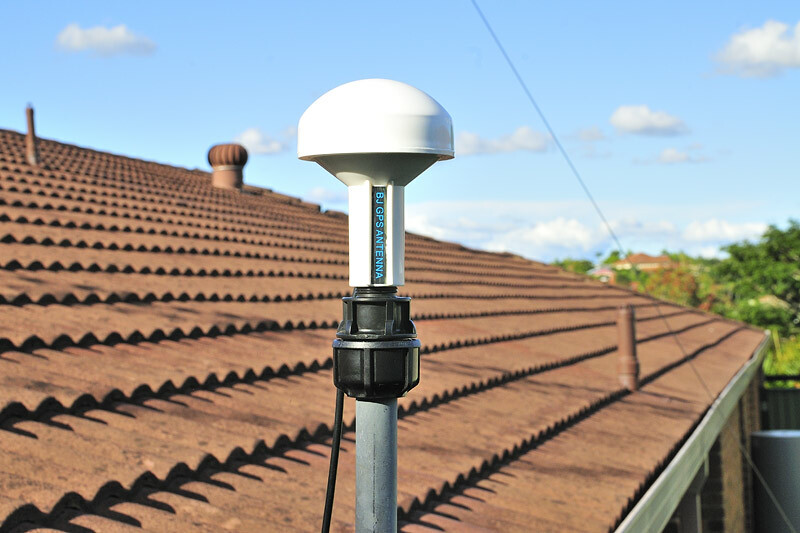 Active antennas like this one can be obtained from outlets that sell GPS equipment, eBay, and other online sources. 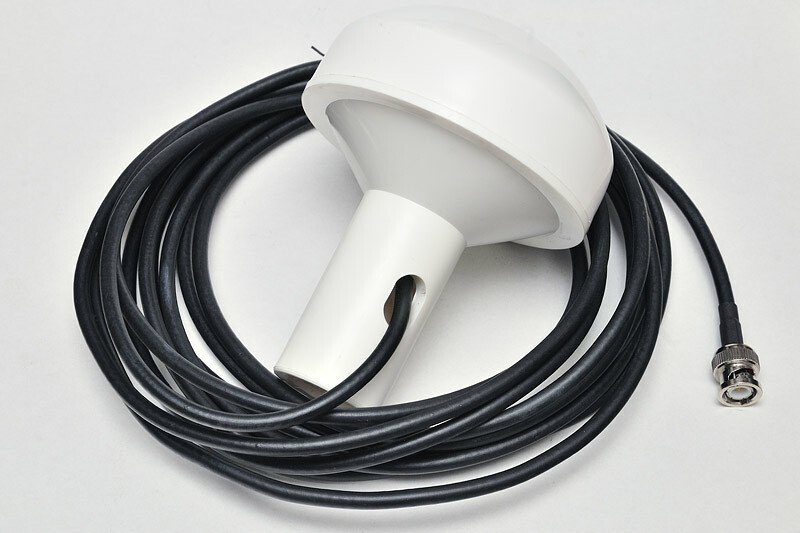 This particular active antenna is waterproof, has a 5m lead fitted with a BNC (m) connector. It was sourced from RF Supplier, a Chinese based supplier of RF connectors and other goodies. USD$28. 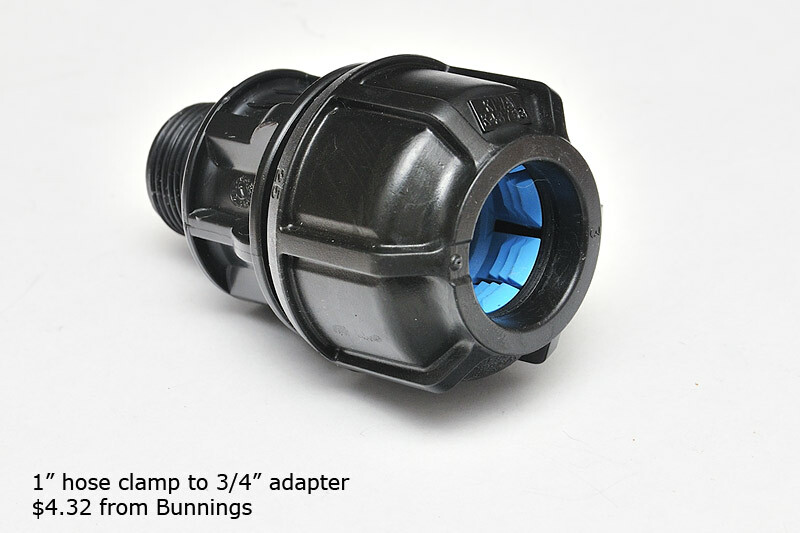 The antenna mount is a standard 3/4″ (20mm) plumbing thread, so a wide range of plastic, brass and galvanised steel plumbing fitting are available from Bunnings and other plumbing and hardware stores to fabricate your own custom mount. A TV antenna bargeboard mount was cut down in length (cold gal sprayed on cut end to prevent rust), and affixed to the house facia. The adapter screws into the antenna, and then it slides onto the mount and clamps up. As the Thunderbolt has an “F” (f) antenna connector, you might want to get an F (m) to BNC (f) adapter from RF Supplier as well.